Mariana De Maio is an assistant professor in the Department of Journalism and Communication at Lehigh University. She received her Ph.D. from the University of Florida in 2015. Her teaching and research interests lie in agenda-setting, political communication, media influence on political attitudes and behavior, online and multimedia journalism, new communication technologies, health communication, and media use in immigrant communities. Originally from Argentina, Dr. De Maio has been in the United States for several years and has worked as a reporter and editor in radio, television, print, and online news outlets.Before pursuing her Ph.D., Dr. De Maio worked for Catholic Relief Services in Baltimore and the American Red Cross in Philadelphia, where she used social media to enhance their outreach efforts and to promote their work to potential donors. Previously, she started a weekly Spanish publication for Gannet in the heart of South Jersey to service the regional Hispanic community. 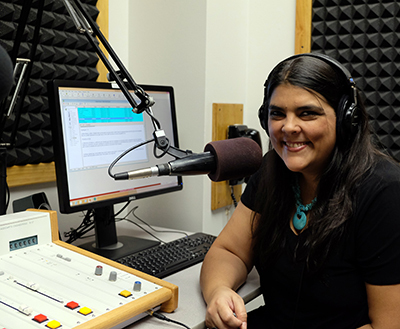 Dr. De Maio’s work also extends to her time at the University of Missouri’s Journalism program where she was the assistant editor to a bilingual publication, produced bilingual radio programs to cover important news in Central Missouri, and worked for the local NPR affiliate and the local NBC station. Her experience also goes as far back as her years while being an undergraduate at the Universidad de Buenos Aires when she produced radio programs and taught a multimedia class. Her undergraduate degree is from the Universidad de Buenos Aires in Argentina with a degree in Communications and she also has a master’s degree in Journalism from the University of Missouri-Columbia.